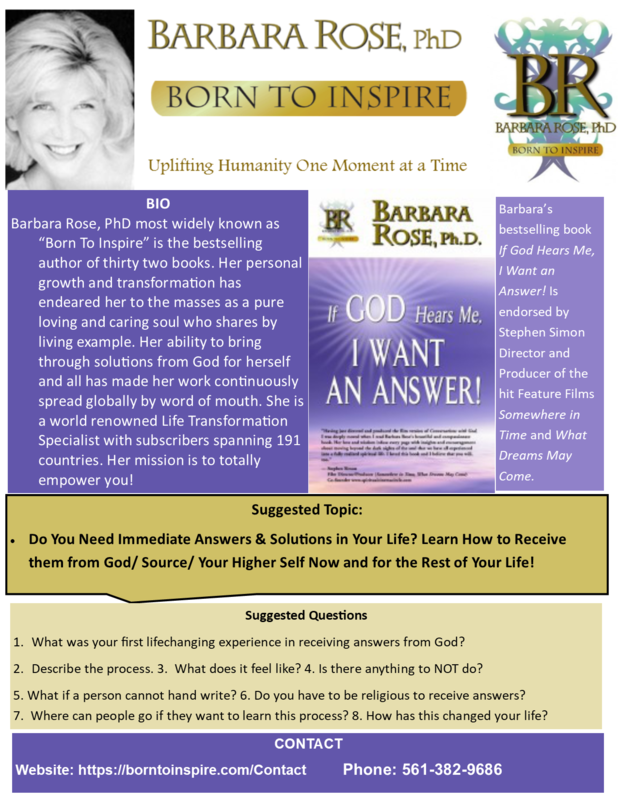 Dr. Barbara Rose reaches the core of her audiences bringing them through a deep transformation process that is called “Life Changing” by countless people globally. She custom creates each event for her audiences so her messages hit home, create massive A-HA! 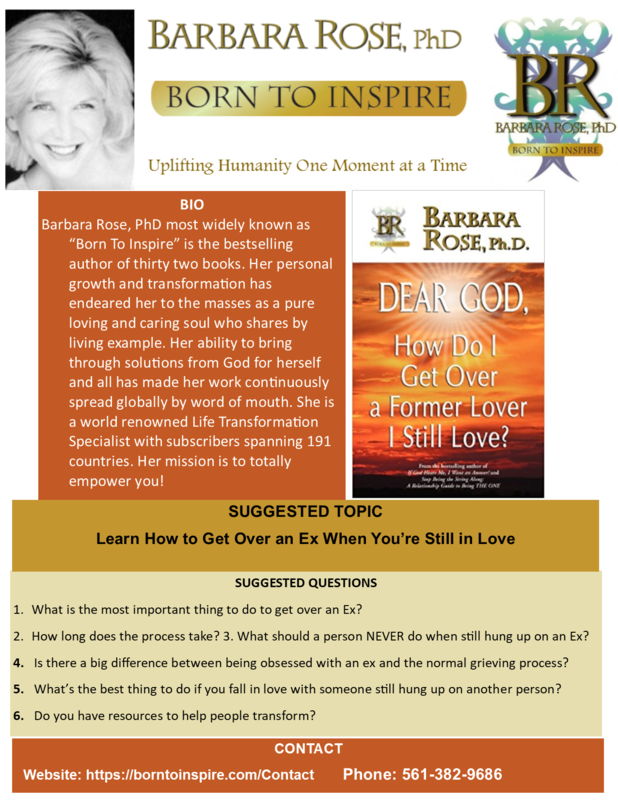 Moments, from laughter to tears, joy and pure life transformation. 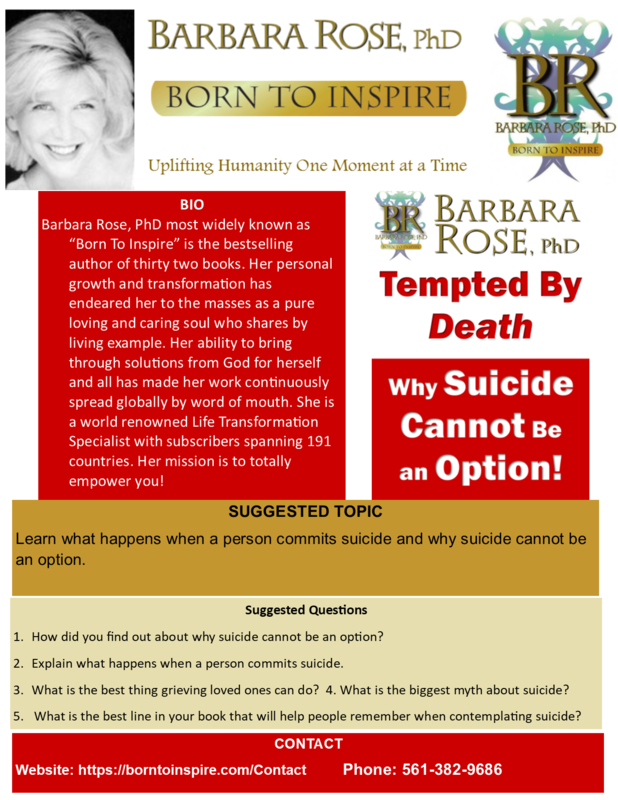 Learn What Happens When a Person Commits Suicide and Why Suicide Cannot Be an Option! 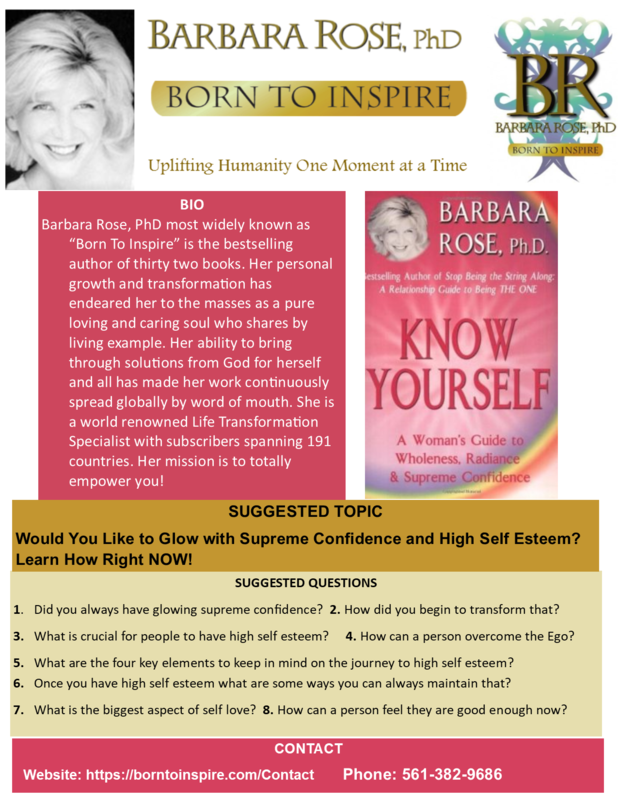 Would You Like to Glow with Supreme Confidence and High Self Esteem? 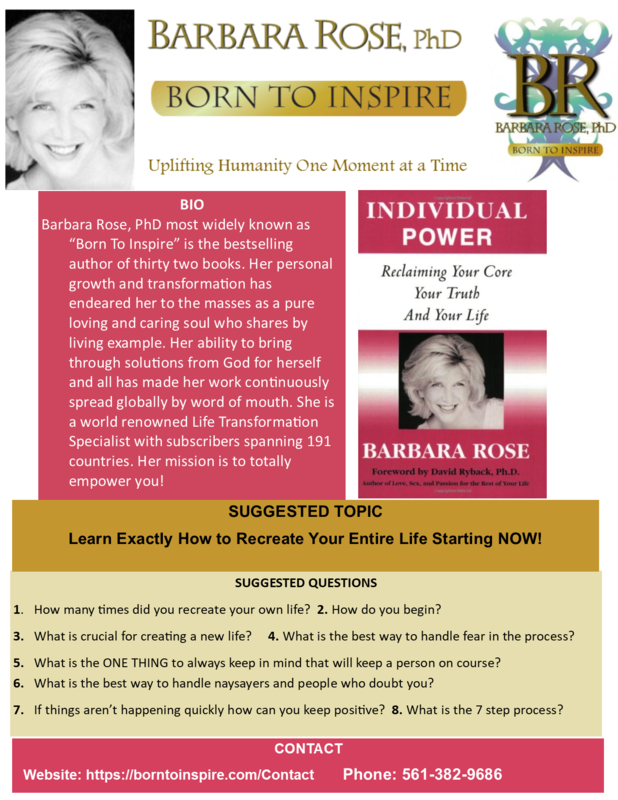 Learn How Right NOW! Do You Love to Spend? 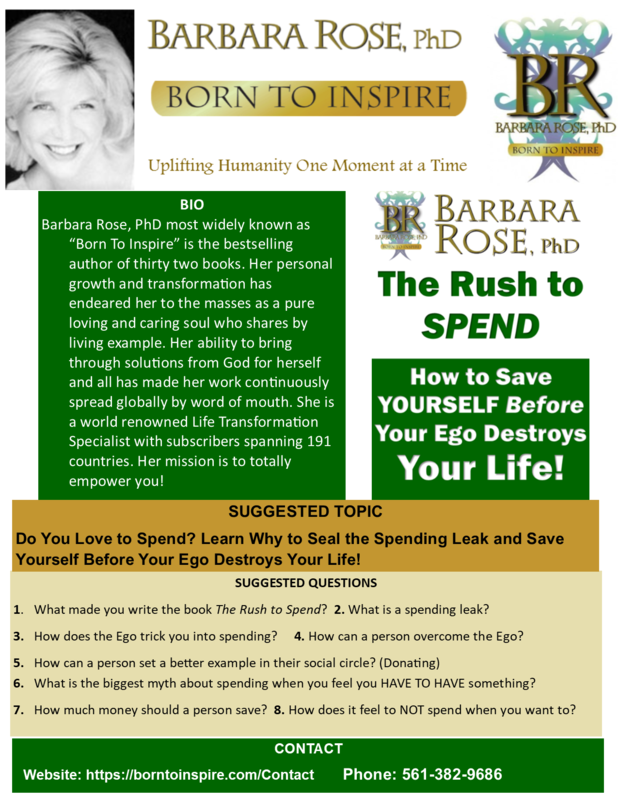 Learn Why to Seal the Spending Leak and Save Yourself Before Your Ego Destroys Your Life! 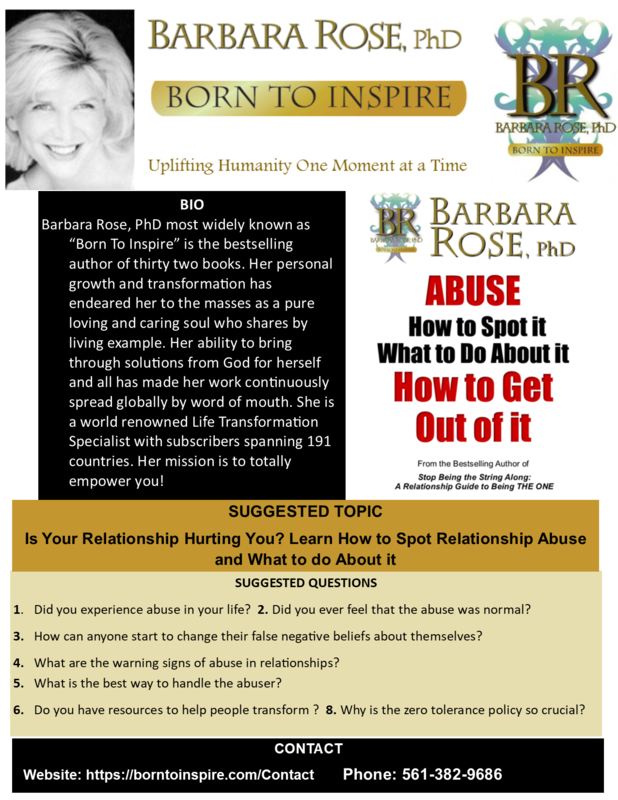 Read what people from across the globe share about Dr. Rose’s work from the bottom of their hearts. All letters are pure and authentic. 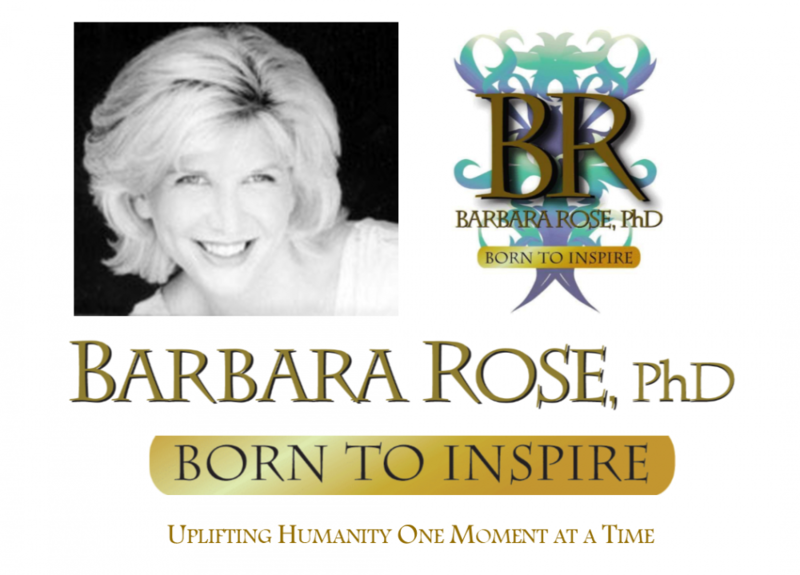 CONTACT US To Book Dr. Rose for Radio, Podcast, Television, Keynotes and Weekend Intensive Workshops. 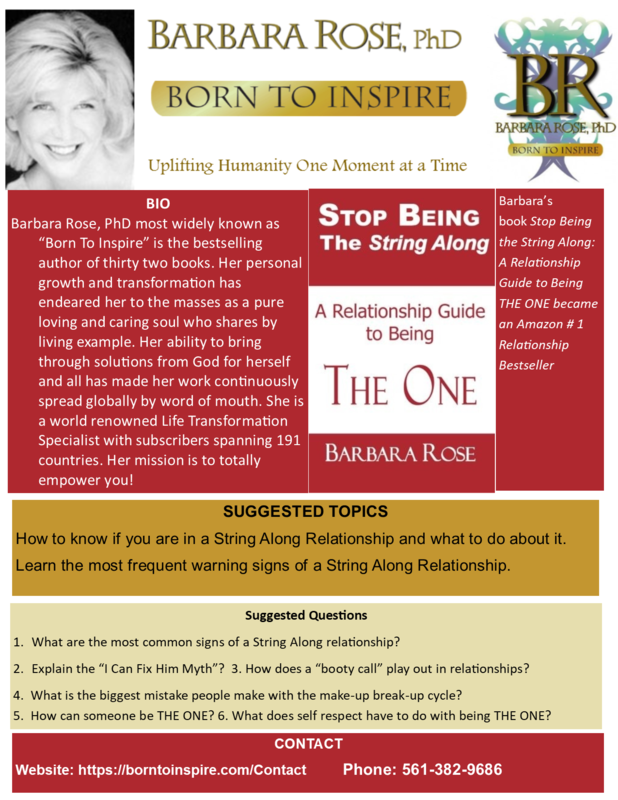 This entry was posted in Browse Pesonal Growth, Browse Relationships, Browse Society and Transformation, Browse Spirituality and tagged Abusive Relationships, Barbara Rose PhD, Barbara's Keynote Topics, BORNTOINSPIRE, Finding Light When You Can't See a Reason to Live, Inspiring Keynotes that Transform Lives, life transformation, soul mates, Supreme Confidence & High Self Esteem, uplifting humanity by Barbara Rose, PhD |Born To Inspire | Bestselling Author| Life Transformation Expert. Bookmark the permalink.